A perfect accompaniment to any meal! The feta adds the saltiness, the figs the sweet, the greens add the zest and earthy flavour and the almonds the crunch! For the last one month we’re thriving on a low-carb diet. It’s quite a task to think of innovative tasty dishes that can be mopped up without a bread or rice, but 20 days into the diet I’ve managed to add a delicious salad to every meal. 🙂 This is a super easy salad that can be tossed together in less than five minutes. 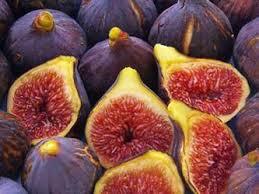 This one has been my absolute favourite for many years now and is always tossed up with figs are in season. I love the saltiness of feta and the crunchy seeds from the fig. 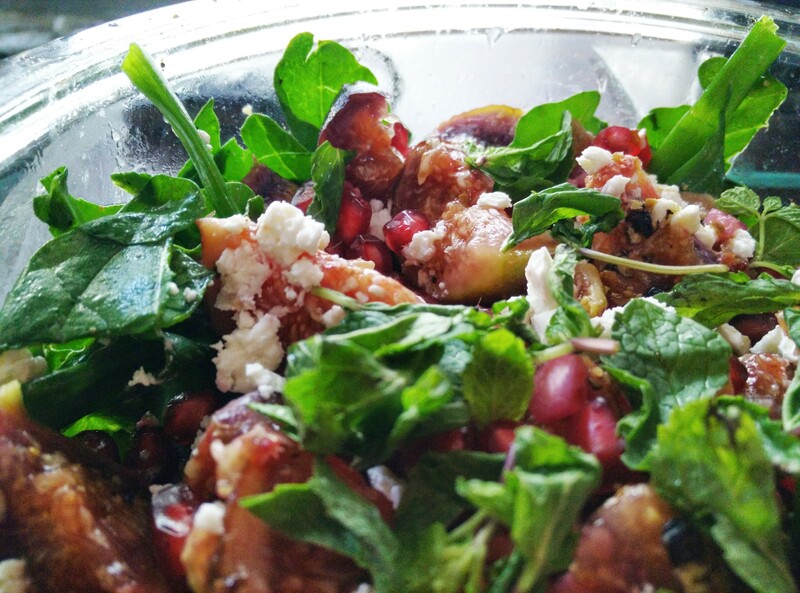 The slightly bitter twang from the Arugula binds the salad together beautifully. 2. 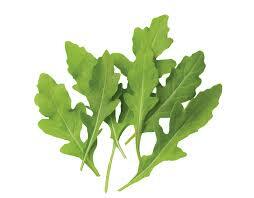 A base of Arugula leaves and green onions cut into 1 inch lengths. 3. Top with figs, cut into 1/8 slices. 6. 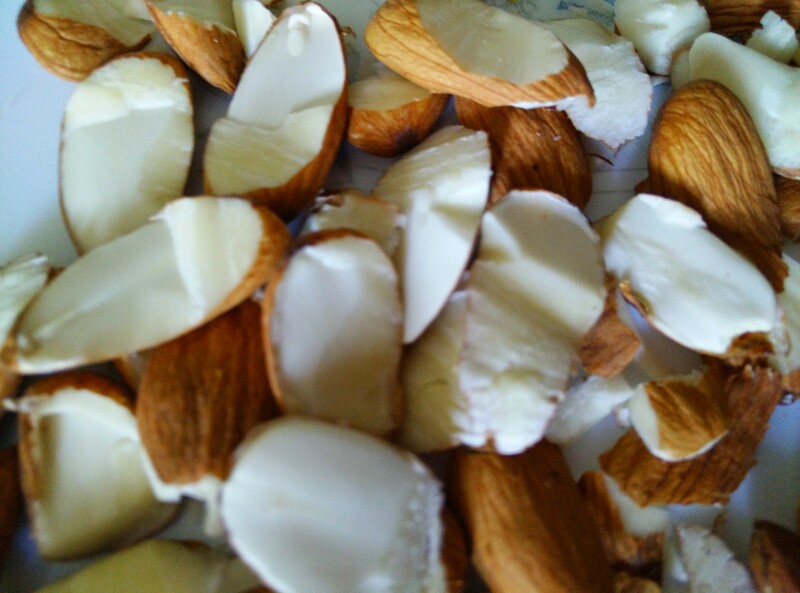 Toss in broken almonds. 7. For the marinade mix together the apple cider vinegar, olive oil and peach juice. Season with salt and pepper. 1. Sprinkle the almonds and pour the marinade over it.